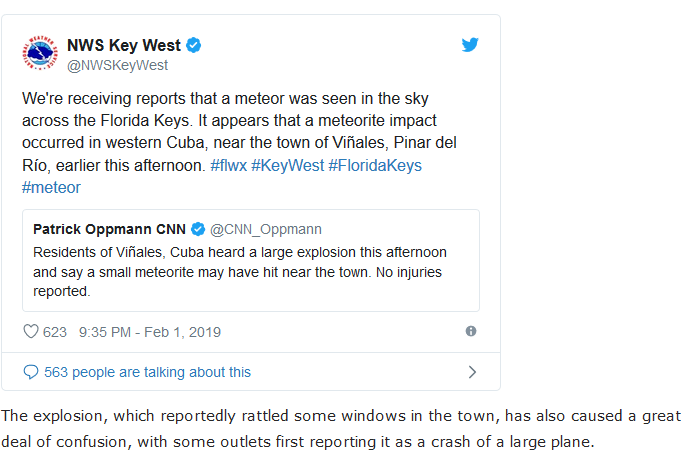 A meteor has rocked the skies of western Cuba, exploding mid-air, shattering windows and raining charred meteorite rocks on people’s homes. 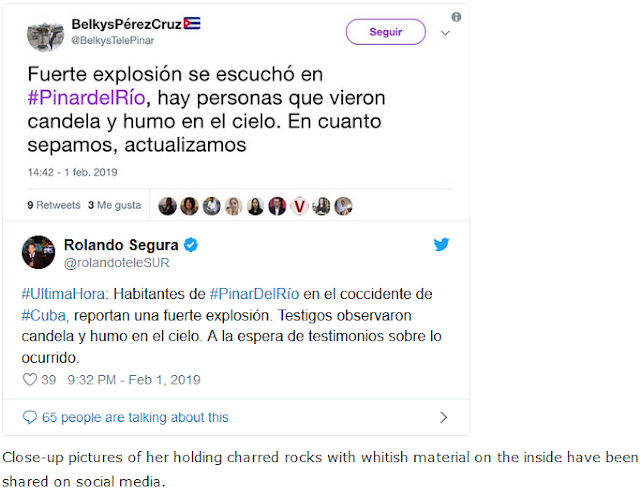 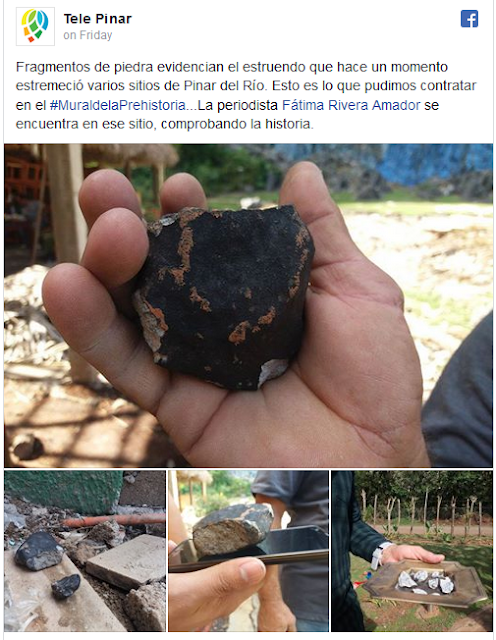 Before its spectacular demise, the space rock was seen flying above Florida.The meteor exploded near the town of Viñales, in the Pinar del Río province, Friday, with witnesses reporting hearing two loud blasts as it disintegrated. 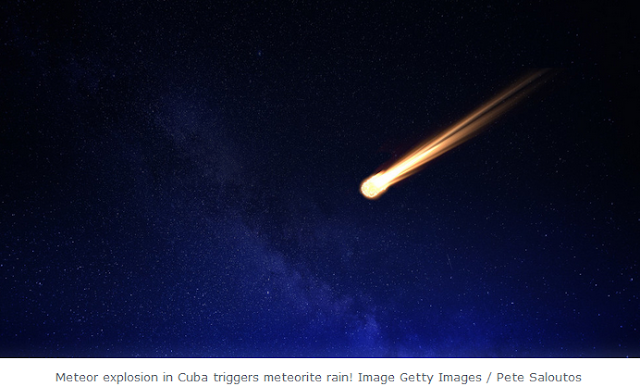 The body left a huge trail of smoke in the sky and showered the ground with small rocks.The terrifying celestial event took place in the clear light of day, and locals managed to catch the sky spectacle on their mobile phones.